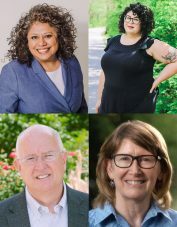 Educator Sonia Gutierrez and environmental consultant Teresa Turk have won their respective races to represent their wards on the Fayetteville City Council in the runoff election held today (Dec. 4). Gutierrez received 571 votes (67%) to defeat artist Olivia Trimble (283 votes, 33%) in Ward 1, and Turk garnered 1,181 votes (66%) to defeat incumbent council member John La Tour (613 votes, 34%) in Ward 4 in final, unofficial results. Election officials are expected to certify the results later this week. The runoff comes four weeks after the Nov. 6 general election when Gutierrez received 2,303 votes (41%), while Trimble took 2,220 votes (39%) in Ward 1. A third candidate, Kris Paxton, received 1,132 votes (20%). Turk received 2,909 votes (45%) on election day to 2,811 votes (44%) for La Tour. A third candidate in Ward 4, Adam Fire Cat, received 677 votes (11%). A total of 2,648 ballots were cast in the two runoff races, including 854 early and absentee votes. Gutierrez and Turk will join new Ward 3 council member Sloan Scroggin as fresh faces on the council when they are sworn in after the first of the year. 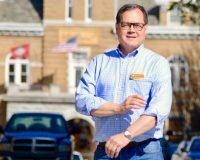 Council Member Mark Kinion won his bid for reelection bid for a third term in Ward 2. 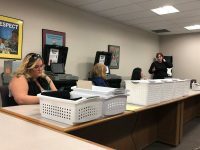 In other local races, Matt Francis defeated Alissa Noel 97-19 in the race for Elkins City Council Ward 1, and Cathy Oliver defeated Zeb Rone 271-152 in the Goshen Mayoral runoff.